Posh Garden Marquee Hire came about in 2005 when it was decided that there was a gap in the market for residential hire that could be used for a range of occasions. 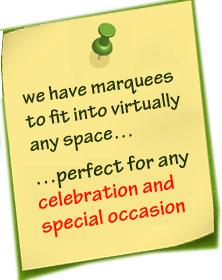 We understand that when people want a more personal event in their own garden, they require a smaller marquee that can fit into the space they have available. 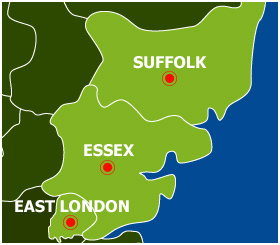 Brentwood is based on the outskirts of London in Essex and is mostly known for Brentwood School where many famous people have studied. Brentwood is a highly populated town, making it an ideal location for marquee hire. We cater for councils, schools, businesses and many other organisations as well as residential clients throughout Brentwood and the surrounding areas. Call now to enquire about our services. 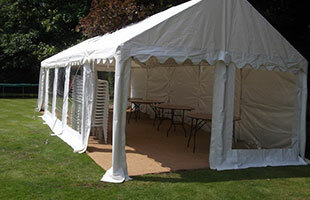 All our marquees are of high quality, complete with heavy duty frames and ground bars. At Posh Garden Marquee Hire, we have a variety of sizes and shapes available and offer a range of sides including windows, doors or blank sides. We have marquees to cater for all types of gardens, whether you require a marquee attached to your home or have room for a free standing marquee, we work around the space you have. The process begins with a FREE site visit so we can assess the space you have and provide you with professional advice as well as a range of options. Whether you want to keep your home clean or can’t trust the British weather, we have a marquee to suit your requirements. Keep your guests warm with our heaters or get the party going with our dance floors and bouncy castles. We have a selection of chairs and tables to fit the space you have and suit the occasion you are celebrating from round tables to folding chairs. 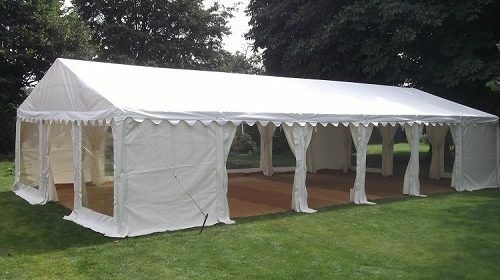 For more information about marquee hire throughout Brentwood and the surrounding areas, or for a free quotation and site visit, please get in touch by calling 01245 607 302 or enquire online using our quick contact form.